Two days of testing at Sugo have just been completed (April 3-4) by a select group of Japan Le Mans Challenge cars, and these are the combined best times. The only one of the eight cars that is hard to identify is the third fastest ‘GC21’: anyone know what that is? A Porsche? Aah.. that's a GC21, right. 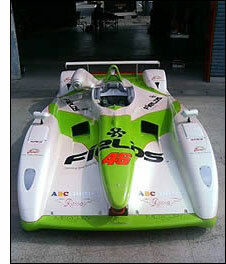 The Zytek is the Spa and Nurburgring winner from the 2005 LMES.